Join us Friday, March 3 on the mezzanine for a rare visit by Ari Weinzweig, co-founder of Ann Arbor’s Zingerman’s Community of Businesses and author of Zingerman’s Guide to Good Leading parts 1-4. 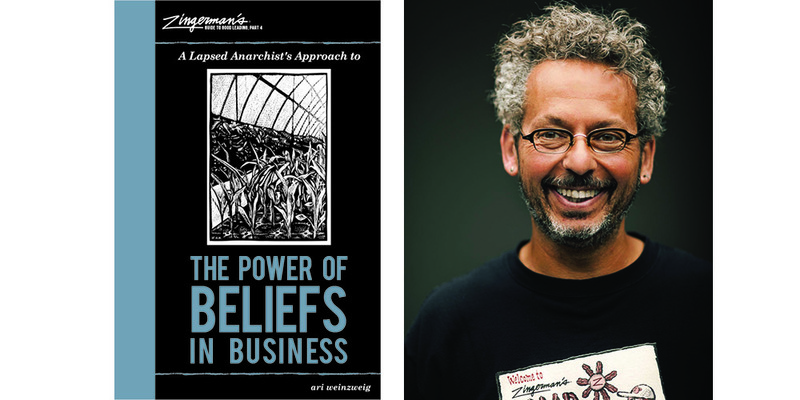 He and Andrea Reusing will discuss his latest book: Zingerman’s Guide to Good Leading, Part 4; A Lapsed Anarchist’s Approach to the Power of Beliefs in Business and share the secrets that underlie the success of Zingerman’s, which was named “the coolest small company in America” by Inc. Magazine and has grown since its founding in 1982 to comprise 10 businesses in the Ann Arbor area with over $60,000,000 in sales annually. Books will be available for purchase, courtesy of Zingerman’s.